On Thursday, October 19th, the book clubs of Davidson will host a discussion between authors Susan Rivers and Julia Franks, moderated by Davidson College professor emeritus Dr. Sally McMillen. The author talk, which is free and open to everyone, will take place from 3:30 pm to 5:00 pm at The Pines in Davidson. Light refreshments will be offered. The Town of Davidson is home to a record number of book clubs per capita who have gathered formally once per year since 1996 to host an author for a reading and discussion of the author’s book. Over the years, the group has hosted the likes of Dorothea Benton Frank, Wiley Cash, and John Hart. Founding organizers of the annual event, B.G. Jones and Betty Newbold, hoped to foster collegiality and conversation among the many groups of avid readers in the community. Hosting a conversation between two authors with a history professor to moderate is a new format for the 2017 gathering. Author Julia Franks has roots in the Appalachian Mountains and has spent years kayaking the rivers and creeks of Tennessee, North Carolina, and West Virginia. She lives in Atlanta, where she teaches literature and runs a web service that fosters free-choice reading in the classroom. Her spellbinding debut, Over the Plain Houses, is the story of an Appalachian woman intrigued by the possibility of change and escape in the 1930's—stalked by a Bible-haunted man who fears his government and stakes his integrity upon an older way of life. Over the Plain Houses is an NPR Book of the Year, the winner of the 2017 Southern Book Prize, and an Indie Next Pick. 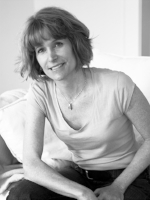 Author Susan Rivers has received both the Julie Harris Playwriting Award and the New York Drama League Award. She earned an MFA in fiction writing from Queens University of Charlotte in North Carolina, where she was also awarded a Regional Artist Grant from the Arts and Sciences Council. She currently lives and writes in a small town in upstate South Carolina. Her first novel, The Second Mrs. Hockaday, unravels the tale of a young woman left to care for her husband’s three-hundred-acre farm and infant son throughout the darkest days of the Civil War. When her husband returns from the front lines, Placidia is bound for jail, accused of bearing a child in his absence and murdering it. 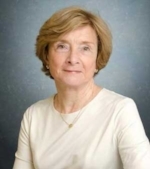 Dr. Sally G. McMillen retired in 2016 as the Mary Reynolds Babcock Professor of History. She specialized in 19th-century history of the American South and of American women's history. Dr. McMillen is also an occasional instructor for Davidson Learns, teaching the course Southern Women: Understanding Scarlett and Mammy. She is the author of five monographs, including her two most recent books, Seneca Falls and the Origins of the Women's Rights Movement and Lucy Stone: An Unapologetic Life. She was the winner of the Hunter Hamilton Love of Teaching Award in 2000 and a founder of the Gender and Sexuality Studies Department. The Pines in Davidson is located at 400 Avinger Lane, Davidson, NC.